I love how seamlessly I was able to use this platform on my Mac OS system! Just Beautiful! The only drawback, pun intended, is how long it took me to log in, that could have been my because I hadn't updated my Mac OS system to High Sierra yet. Still need to do that! If you are on the fence about trying this project or looking for something more user friendly than Lucidchart or another competitor, definitely give ConceptDraw Project a shot! I am very pleased with the outcome and I am confident that you will be too! So many benefits, the product/project feels well organized, modern and is very easy to learn and train my peers and fellow employees. . The great multiple project dashboard lets us manage more than one project from the same page. This application is feature rich and there is no reason for one to dislike it. The ConceptDraw Project is by far the most economical PM tool out there. The features will blow your mind away. "ConceptDraw PROJECT Overall User Experience"
I have been using ConceptDraw PROJECT for about a year so far and it has been a pleasant experience. For me, I personally love the adaptability because you can use it across various platforms. I have a mac and in my work I can use it for a lot of features that I need; for example, it is good for visualizing designs and drawing tables, creating balance sheets, and tracking projects/overall project management. It is a bit hard to pick up especially for a beginner like me because the instructions and guidelines are not too clear. However once started it is easy to use. I think that it is good if you want to complete multiple projects as well because it is easy to track. In addition, its use of MindMap and Diagram are good if you want to cover multiple aspects into one individual software. It is good for the professional setting as well as a personal setting if you just want to create projects or goals for yourself only. It is good for project management as well because it emphasizes time management and gives good output for the timing and strategical practices your company aims to have. It is good for all aspects of a corporation and I think that in a business everyone who has a role has the potential to use this software to its best ability. It can fit the needs of a variety of jobs as it can do so much. It is also good for visualizing tasks which is essential in a company. 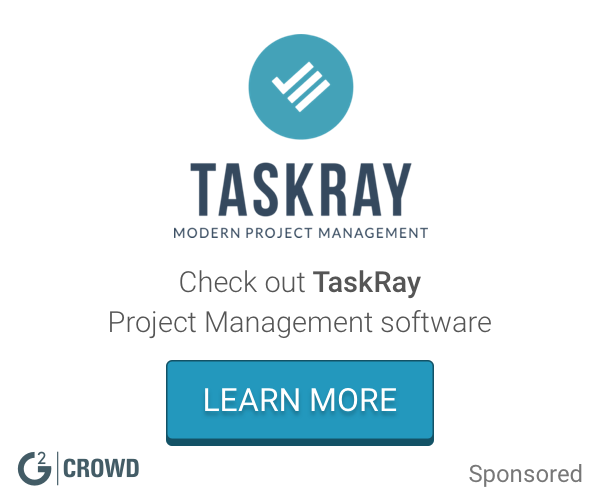 "Conceptdraw Project management software makes tasks easier at MyNew Technologies"
Easy to use project management tool for basic, agile and presentation tracking. We use it extensively in our MyNew Technologies environment. Currently we do not find anything we do no like about our this product. We strongly recommend ConceptDraw Project in the MacOs environment. When developing projects using agile methodology, we find that organizing stand ups, sprints and backlogs to be very effective. I really like the easy and intuitive style the way ConceptDraw Project is designed. It is quickly learned and very easy to make a GANTT-chart that includes time planning, resource-management and economical balance sheets. In addition, I am happy with the integration of the other software components of ConceptDraw: Mindmap and Diagram. This makes it easy to transfer the input between the different platforms efficiently. I did not find particular dislikes about the software thus far. Easy to use, effective and great capabilities. Would recommend it to everybody that wants to manage personal or professional projects. The software improves project-management by supporting effective time management and resource management. The software also delivers visual outputs that improve collaboration between different stakeholders. Furthermore, it gives a great overview of the estimated costs. "Once you learn it (The help videos are great), it is easy to use"
I like being able to have multiple projects within one project and keep track of all with one file. Reports are easier to make from there. It will do the right job for you as far as tracking projects. With the capability of putting multiple projects into one project, it is easy to see the how the cash must flow. Working with multiple sub-contractors, that is important. "Infographics and Data visualization for business process"
"Brilliant smooth process from idea/tasks generation to project execution"
I like mindmap conveying to the project t and the customer support. The price can be more friendly. To edit the text etc seems not straightforward . The creating process was very beneficial , it allows me to create tasks by expanding through mindmap and then allocate the resources etc. I have used to manage many cross-team project. "The quick way to create project plan"
ConceptDraw Project offer me the easy way. Easy to see all the features. Nice to use to get quick updates as well. "Gives you the tools you need but nothing out of the ordinary"
As I was creating the flowchart, it became difficult to create lines in certain directions that I wanted my chart to flow. I was using this to create my flowchart to become more organized with the company's structure of employees. It did the job but I think there are other programs I could have used that would do the same exact thing. "Great project planner for small businesses"
Trial version for this one is too short. Need to explore more before buying the product. Try all project management tools before making a choice. Especially when you're investing for business. Price is not the only criteria to be considered but how well it fits your needs and requirements. Gantt charts and Pert charts and various reports for project planning, resource monitoring and budgets. * We monitor all ConceptDraw PROJECT reviews to prevent fraudulent reviews and keep review quality high. We do not post reviews by company employees or direct competitors. Validated reviews require the user to submit a screenshot of the product containing their user ID, in order to verify a user is an actual user of the product. Hi there! 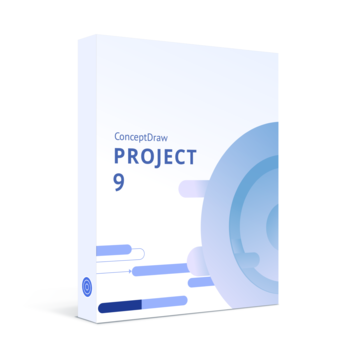 Are you looking to implement a solution like ConceptDraw PROJECT?